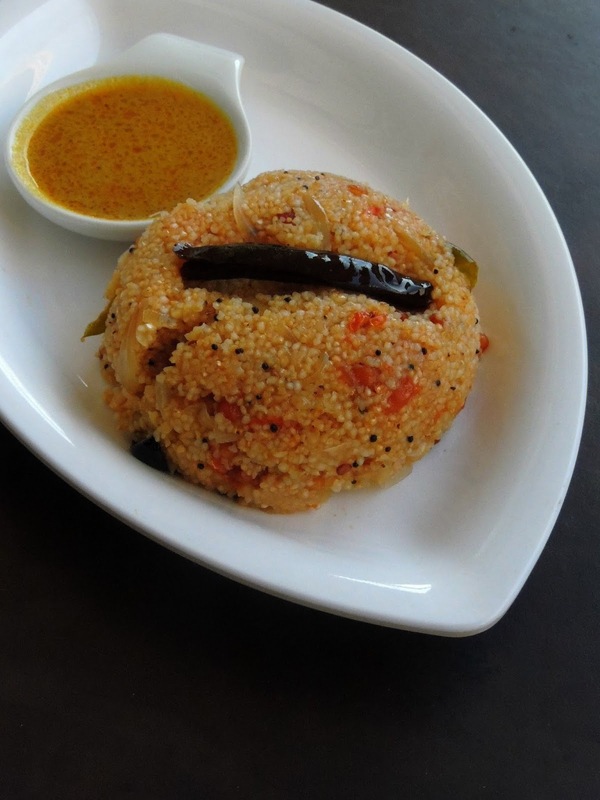 If you ask a South Indian for an easy breakfast, trust me most of us will definitely talk about the popular upma. Yes this breakfast dish is quite an easiest one to prepare, usually prepared with semolina, you can dish out this quick and easy upma with any sort of broken grains aka rava. Nowadays you can find out varieties of broken grains like wheat, ragi,millets, sorghum, barley etc. Recently i got a packet of broken jowar from Indian stores, after making a simple dish out this jowar rava, i was looking for a chance to finish them. 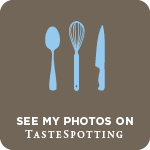 Am running this week's blogging marathon with Easy breakfast dishes as theme, obviously i couldnt think more than dishing out one of the popular and most hated South Indian breakfast aka upma. 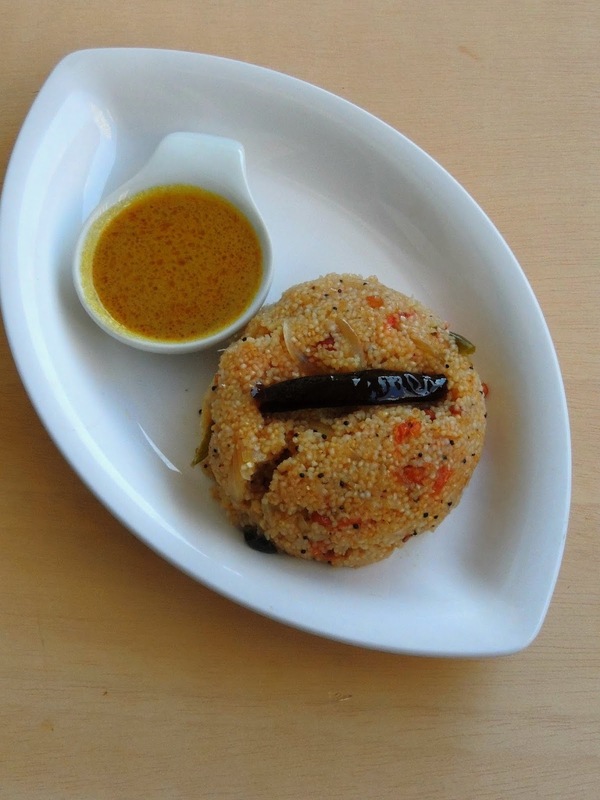 Jowar rava works awesome to make this delicious and vegan upma. However if you want to bring more flavour to this healthy upma, you can drizzle a teaspoon of ghee once the dish is ready to serve. Jowar rava i used was not the fine quality, hence the cooking time may varies. Obviously this medium sized Jowar rava may takes bit time to cook hence i opted for pressure cooker. Actually i cooked this jowar rava upma in my pressure cooker which turned out this upma more quicker and easier than the usual way of making upma. To bring the colour and bit tanginess to this simple upma, i couldnt stop myself adding some tomatoes. Hence i named this dish as Jowar rava Tomato upma. When served with a spicy chutney or side dish, trust me one can finish his breakfast without any complaint. One of the best way to sneak this broken sorghum in your diet. Excellent breakfast dish to enjoy and to pack in anyone's lunchbox as this dish is seriously wholesome and healthy definitely. Heat enough oil in a pressure pan. Let splutters the mustard seeds, add the urad dal, channa dal, dry red chillies, curry leaves, chopped ginger. Add the chopped onions, salt and saute until the onions turns transculent. Now add the chopped tomatoes and cook until the onions turns mushy. Add 2cups of water, check for the salt and bring them to boil. Once the water starts boiling, add the roasted jowar rava, mix well. Put the lid and cook in medium flame until the steam comes out. Put the stove off, drop the pressure cooker whistle and dont disturb. Let this sit for few minutes. Once the pressure gets released, open the lid , give a stir. Usually people hate upma, but I love it. Using Jowar rava is a great idea. And the tomato will add a nice tang to it. I got the jowar from India and the texture was awesome. Later on I found cracked jowar here in the local stores and found the texture lacking. But adding tomato is a superb idea. Looks amazing. That is such a hearty and healthy upma with roasted jowar rawa. I bought mixed millets upma rawa from India and this will be a perfect recipe to make with those. Upma looks so nice and tempting Priya.Never thought of making upma with jowar! And making it in a pressure cooker would have cut down the stirring time and it would have got done quicker.Will try this soon. I am the biggest upma hater in my house but surprisingly when I make it with any other grain I seem to enjoy it more. 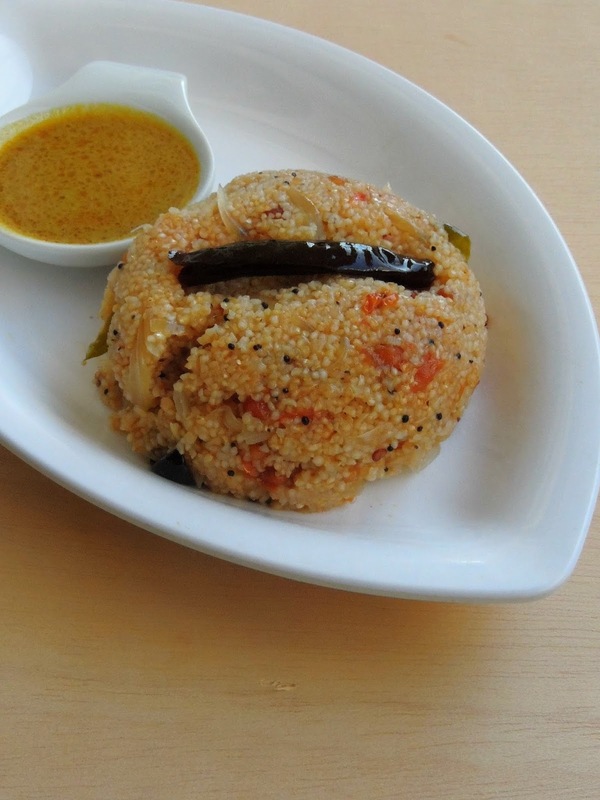 This upma is definitely a great one for the mornings and it is such a healthy one as well. I need to find out if jowar rava is available in my local Indian stores. 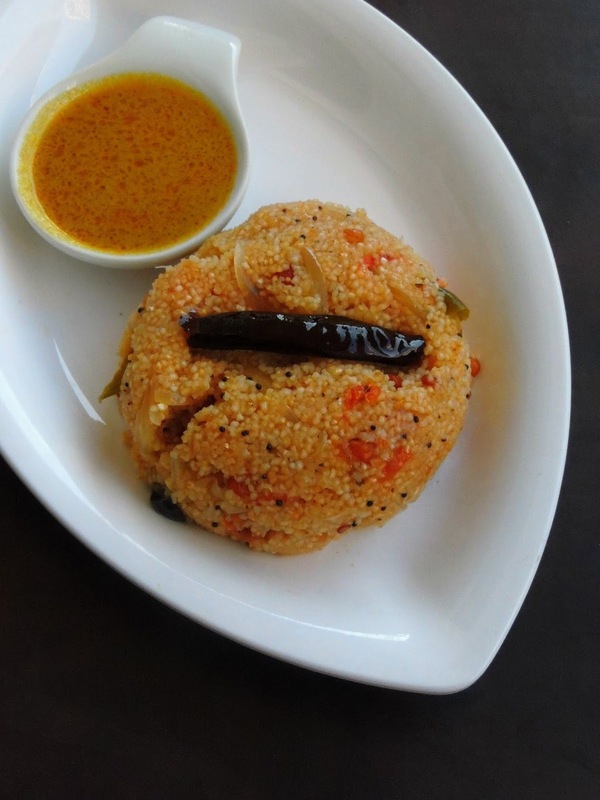 I love upma in all forms and this one sure looks inviting. Upma with jowar sounds fantastic Priya. That bowl looks so inviting! Need to give this a try, I have not made a dish with broken Jowar and nowadays searching for such dishes. Bookmarking this. Upma looks very tempting, love how tomato adds a beautiful color to the dish!!! Perfect breakfast!